Introducing DORN’s Employee Centric Pain Management Model. An innovative approach to your employee’s health and well-being. BBE combines an array of services to address all facets of workplace wellness: Body, Behavior, and Environment. Our multipronged approach utilizes detailed observational data to implement solutions towards physical health, improved training in healthy workplace safety practices, and an up-to-date work environment. This 360-degree approach is carefully applied to cultivate and maintain a healthy workplace where workers are engaged and costs are low. *Total Worker Health is a registered trademark of the U.S. Department of Health and Human Services (HHS). Designed to help alleviate pain and improve workers’ overall wellness, our Hands-On Therapy programs treat employees’ one-on- one to address non-acute injuries as well as chronic pain from repetitive motion, overexertion, or poor ergonomics. 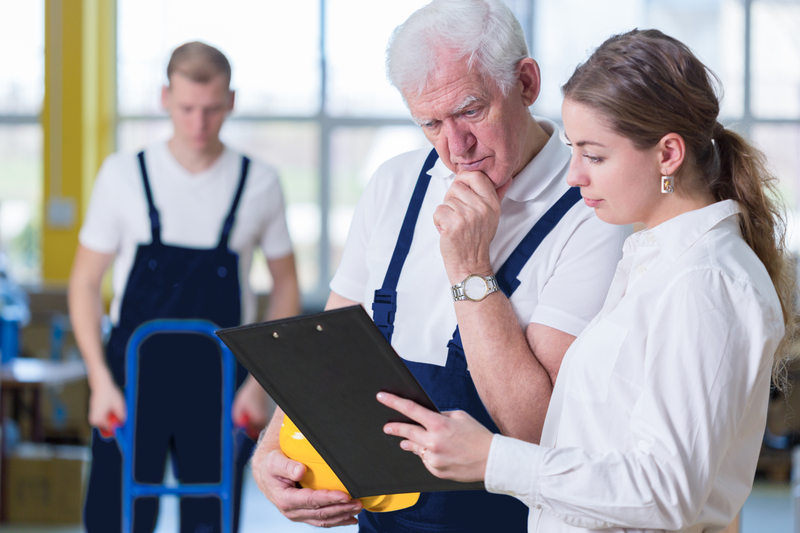 By observing departments in detail, we can provide stretching exercise training catered to the immediate needs of workers across an entire organization. Custom stretching plans incorporate the biomechanics of each job movement to maximize results. Proper posture training and education can prevent injuries and chronic pain by rectifying flawed posture and communicating the importance of healthy movement in all stages of the job. Beginning with detailed observation, our body mechanics programs will highlight risk areas and work with your employees to correct poor mechanics, reduce injuries and lower costs. These one-on-one interactions with workers will diagnose movements and body mechanics that can lead to injury and pain and replace them with personalized corrections in real time. With department-specific engagement, these sessions deliver customized training for proper and safe techniques in the workplace, including lift, stand, push, pull, carrying training. Using detailed analysis of careful observation and data collection, employers can discover the results of their workplace wellness programs and record trends by age, gender, department, and occupation, helping to refine your roadmap and measure ROI. During on-the-floor observation, we engage with employees on a personal level and provide real-time recommendations to encourage best practices and help mitigate risk. As your eyes and ears on site, we present opportunities to mitigate risk and encourage best practices. Monthly reports related to onsite monitoring will be made to local management. An effective wellness strategy requires a top-down look at the work environment and the tasks that are performed within it. This risk assessment produces a roadmap toward improved ergonomic standards, better overall health among workers, and lower costs for an organization by identifying risks, hazards and poor practices. Two-hour observation of specific workstations provide an assessment of job tasks, movements, and the workstation, with a focus on removing risk factors and allowing a worker to execute their job without pain or injury. An ERGOLITE Risk Assessment can be completed for multiple departments depending on customer needs. Geared at individual workstations or specific departments, our ergonomic analysis evaluates particular job functions and provides detailed recommendations for improvement. With analysis of the job site, job tasks, and ergonomic factors adding up to four or more hours of observation and analysis, our quantitative services help eliminate risks and prevent injuries at the micro level. The broad, flexible approach of the BBE model consistently delivers improvements across all elements of the workplace safety question. With demonstrated success in preventing musculoskeletal injuries and mitigating chronic pain, this versatile strategy boosts productivity from workers by promoting a culture of safety and education across all departments and work types. The numbers bear out the results: partners report a 600% annual return on investment in BBE programs, with reduced absenteeism, medication usage, and costs associated with worker’s compensation and healthcare. DORN programs look to Empower organizations and their employees through a series of defined Engagement and Education solutions to achieve maximum outcomes. Work directly with employees in an inviting, personalized setting that puts the needs of the worker first. Provide training to ensure proper mechanics and healthy habits in the workplace to help employees avoid injury and reduce pain. Foster a culture of wellness to create a healthy and supportive work environment in which employees take ownership of their health.